Murmuring tefilot old as time companioned us as we followed the stream up the mountain path. Voices deep and high filled with longing, love, sorrow, gratitude, every tone audible in the davenen waters. This is what I heard in the tumbling current passing over and around boulders and smooth stones. T’shuvah visible looking down as again and again we carefully crossed the meandering brook, Autumn sun glistening on bright wet leaves, our boots and hearts imprinting prayers of our own with each step, sinking into raw umber mud. As body, mind, heart and soul preparation for Yom Kippur, we took a Shabbat T’shuvah hike, awed by Creation renewed for another year, blessed to witness change with our ears, eyes, noses, inhaling the sweet scent of balsam, the pungency of moldering leaves and fungi. With each turn, another sighing release, maple, ash, birch, gracefully letting go, ever so gently without a hint of breeze to assist, just letting go; making space for prayers to echo through eternity. Looking up through the forest canopy I thought of Neilah, and saw that heaven’s gates were not, are not anywhere near closing. That is not to say chapters in our lives do not end, that life clothed in the fragile vessels of our human bodies does not end, rather, while we are here, in human form, the Source of all Being does not close gates, will not shut us out or withdraw compassion. Yet is up to us to listen, see, smell, feel, taste; immerse ourselves in the fullness of each moment we have been granted. We must re-imagine "the gates," as an invitation to walk through, stand, sit, be, live with wisdom, courage and kindness, love fully, thankful for blessings, great and small, albeit sometimes hidden in challenges and sorrow, still freely given each day. When our hearts are open, it is clear that the gates are too. neilah- Hebrew - literally "closing gate"
Neilah is also the name of the closing service of this Jewish Holy Day. Please link back to my blog either using the button provided or by linking the words "I Heart Macro" back to my blog with this link: shinethedivinecreativityisaspiritualpractice.com. By sharing the link, visitors to your blog will learn about this meme and have a chance to participate as well if they so choose. *If I don't get a chance to stop by and see what you've posted this week, know that I am immersed in preparing to teach meditation on Yom Kippur, possibly a recording of the teaching (if there is time) all in between doctor's appointments, not for me but for family members this very short, full week. Beautiful thoughts around this time...and your images are so uplifting and spiritual...I also feature a dew covered flower. Your photos definitely do justice to this beautiful time of year. A lovely walk Laura, with many beautiful sights to see. Thank you for sharing your wise words with us and your always gorgeous photographs. Your words and beautiful photos lift the heart, as always. I could feel your soul soaring as you rounded every curve and saw each new vision of beauty. Loved this! nice shots, the leaves sure do have some great colours now. Wonderful autumn photos. I love the water drops and the leaves. I wish you a great week, Laura! Hi! Nice collection of colorful autumn leaf photos. Your macro photos are very cool. Thanks for sharing. Absolutely gorgeous series of photos! Real autuum feeling! What a journey you taken us on. We don't have to look far to see the beauty all around us. Beautiful post Laura........your forest looks amazing.....thank you! Beautiful fall colors! Wish you a nice week! Greetings from Romania! Fall is certainly a time for celebration, and also self-introspection, and forming a new connection with our Creator. The flame-colored trees are magnificent, fall color has not come yet to my area. Your post always an inspiration. Thanks for dropping by, Laura. Have a great week ahead. You have excelled yourself with this post Laura. Lovely images! Thanks for hosting, Laura. Beautiful pics Laura! Great talents in photography! Stunning shots - such works of art! Beautiful pictures and thoughts Laura. A lovely meditative blog hike. Thanks for it. Amazing photos Laura. I feel like I have been on a beautiful journey! Beautifully expressed thoughts and gorgeous fall images. Your take on the fall forest feeds. Lovely. Thank you for the meditation Laura and for the beautiful Autumn pictures. I tend to feel like Autumn is an end to something, but your words and pictures make me realize that it is a new beginning. Thank you so much for hosting; I am happy to be back to this lovely meme. 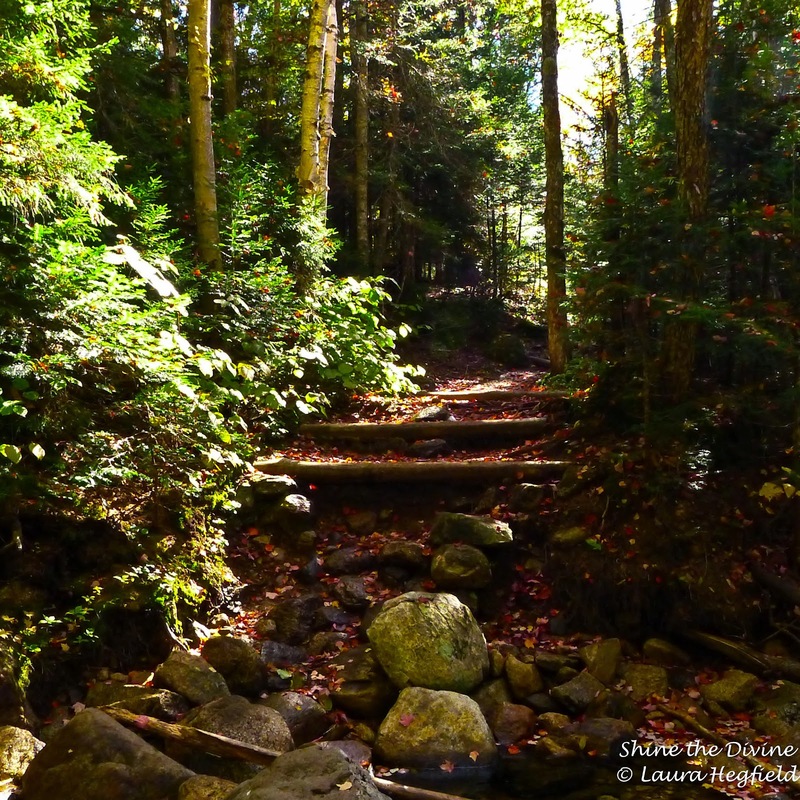 Love the forest scenes and colors..Lovely images, Laura! I never tire of observing the tiny details of creation that surround us. I love with your first shot! I love this time of year!! gorgeous captures! love the droplets! i always enjoy your photos and your words. I love all the leaves! Beautiful! 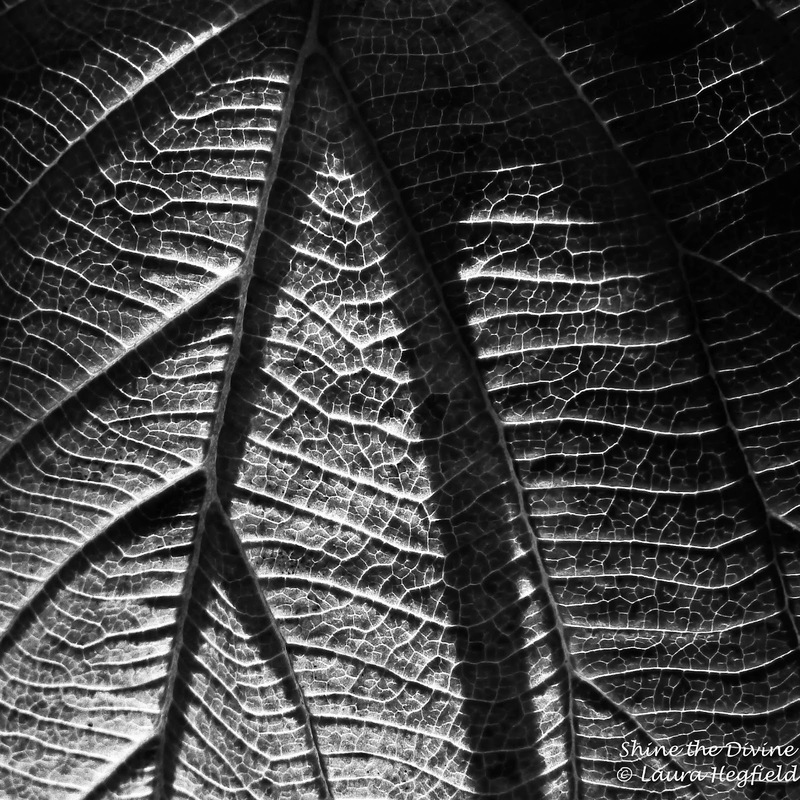 Those photos are incredibly amazing, the light and textures are great. I wish i can have access to an area like that here, but we have to go out from the city just for that.I miss the woods too, though we don't have much of your colors here in the tropics. Thanks also for the words of wisdom. Thank you for your lovely words on my blog and for your invitation to "I Heart Macro". I love to participate! Loving your droplets and fall colors! I miss them so much! Have a sunny autumn for yourself and the whole family, too. Incredibly beautiful pictures! Love all the ones with water drops! Dropped by for your sky shots but fell in love with your macro shots!! Wow...amazing...so much of natures own artwork...it can't be beat. Thanks for the invite to add my photos of the dragonflies...will do. Beautiful as always, Laura. I love the droplets on the leaves. 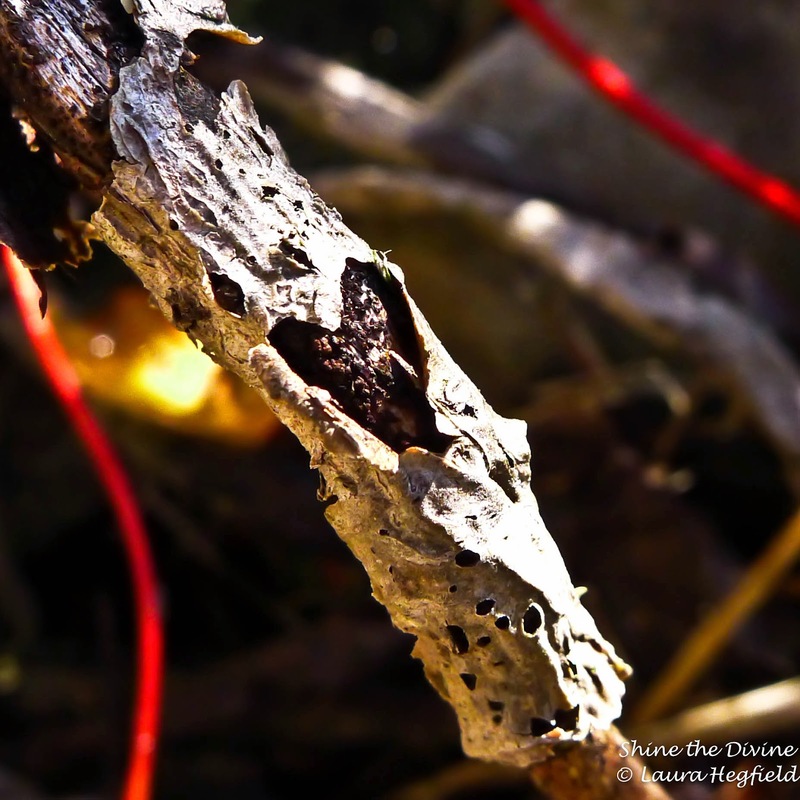 Beautiful post Laura, you truly can find so much in nature if you take the time to look. 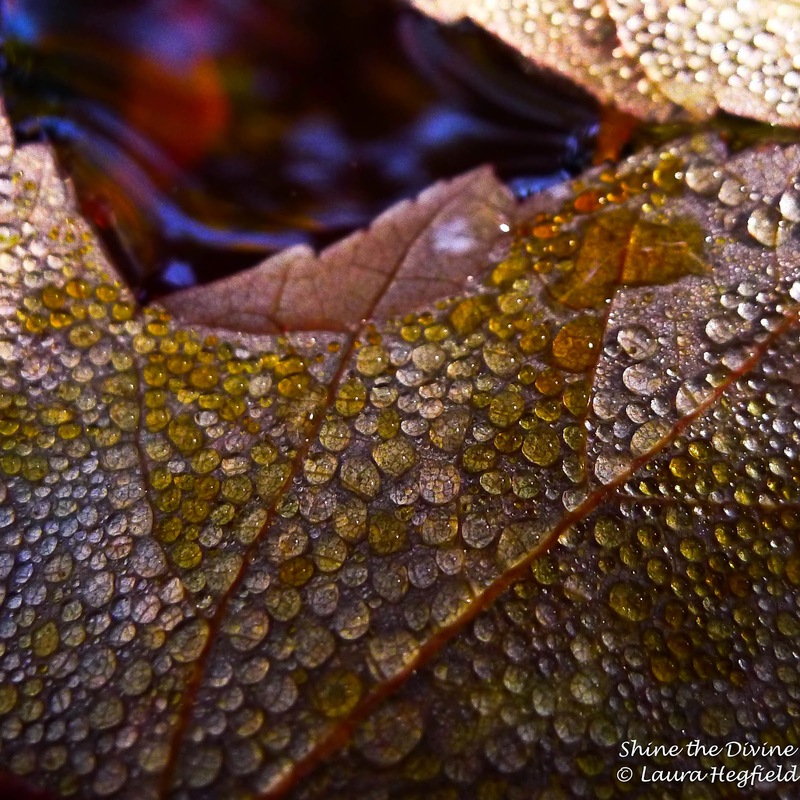 Those photos of the leaves covered in water droplets are divine! Beautiful shot Laura, you truly can find so many things in nature if you take the time to look. The images of the water droplets on the leaves are divine! Beautiful photos - all of them! Those various raindrops are so lovely. what amazing shots of an absolutely stunning spot! I especially love the water (dew?) on the leaves and the almost x-ray lighting on them too. I love your post, Laura, I'm so fond of your pictures... I specially enjoy the one with a little star of light reflected on the water between leaves ; it touched my heart. Very interesting these exquisite works Delicious autumn! I love the delicacy in the first. A wonderful series of photos. I thought I already wrote a repu, Lovely photos nce again, also in BW. Awesome forest shots. 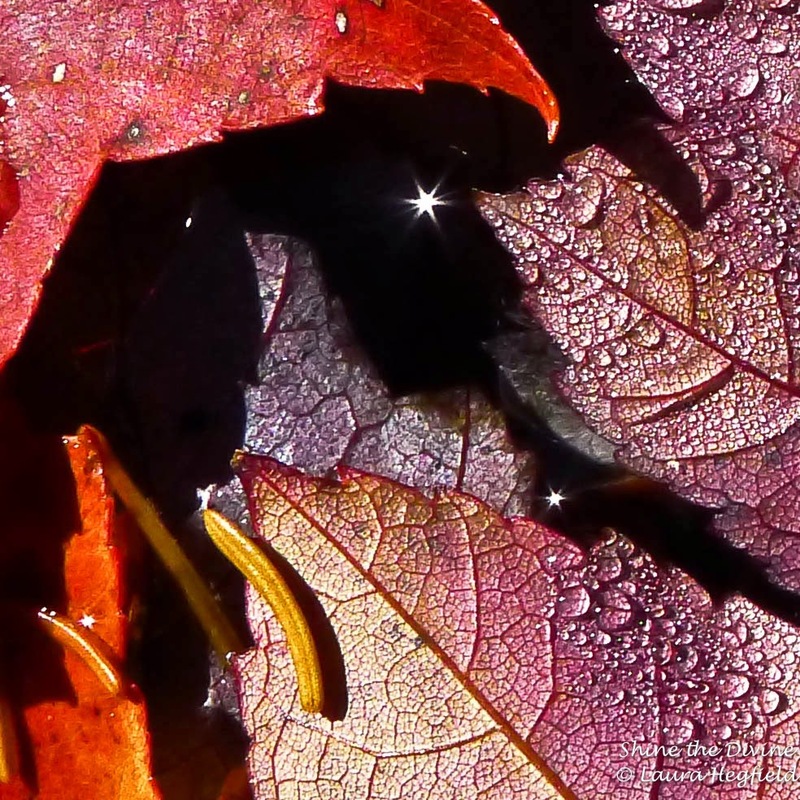 Love the leaf photos..
Laura, your captures of autumn are brilliant, right down to the stars shining on fallen leaves. They encapsulate the very essence of the season.